Well done to the netball team who came second in their league in the High Five Netball competition at Kingsbury School on Tuesday afternoon. They played matches against Uxendon Manor, Malorees and Lyon Park. We are delighted with their teamwork and sportsmanship throughout the matches. Thank you to Ms Ashley and the parents who helped with transport. Our Boys' Football team played in a round robin football event as part of the South Brent Football League last Friday. They did a fantastic job and displayed great sportsmanship throughout the afternoon. They suffered a narrow loss by 1 goal against Mitchell Brook and then made their comeback winning 1-0 against Our Lady of Lourdes. Well done boys! A huge thank you to Mr Yost and to all the parents who helped with transport and supported the team. Our Girls’ Football team competed against Sinai Jewish Primary School in a 7-a-side tournament in Gladstone Park on Tuesday. Our girls played with a great team spirit but unfortunately lost by 3 goals. On Wednesday they played two brilliant games at Crest recording a great 6-0 victory against John Keeble and 7-0 against Braintcroft. Well done girls! The year 5 and 6 girls took part in a girls football tournament that had been arranged by Leopold Primary School. Our girls played enthusiastically and came third overall. Well done to Sophia, Emily, Gradi & Denzel (Y5), Riffine, Xenique, Kendi, Jibran, Charles, Judah and Eamon (Y6) who, along with 14 other schools, competed in a Y5/6 Athletics Tournament at Willesden Sports Centre on Thursday. The children competed in track, field and relay events and were a credit to our school. Well done to Dawid, Benji, Anna, Alice, Aishah, Holly, Daniel, Kian and Mikolaj who took part in a Saracens Tag Rugby Tournament. They won a 'Sporting Spirit Award' for their representation of Scotland. Well done to Jibran, Charles, Judah, Gradi, Denzel, Xenique, Emily, Riffine and Kendi who recently competedin a number of track and field events at The Willesden sports Centre. The children gained 3rd place overall and were the only school awarded a trophy for their team spirit! All Children are timetabled to take part in two hours of high quality PE each week. This will usually involve one hour of PE in the playground and one hour in the hall. Much of our outdoor PE is taken by the coaches of 'All for Sport'. Please make sure your child's PE kit is in on the relevant days. Our children take part in a wide variety of sports such as rugby, football, cricket, tennis, gymnastics, dance, hockey and swimming. Many children also get an opportunity to represent the school at different tournaments. In addition to our curriculum time, we offer many before and after-school clubs. 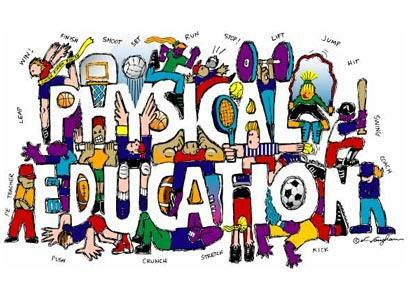 PE ideas Click on this link to find out some excellent ideas for children to try at home. PE ideas 2 Click on this link for even more fun activites.